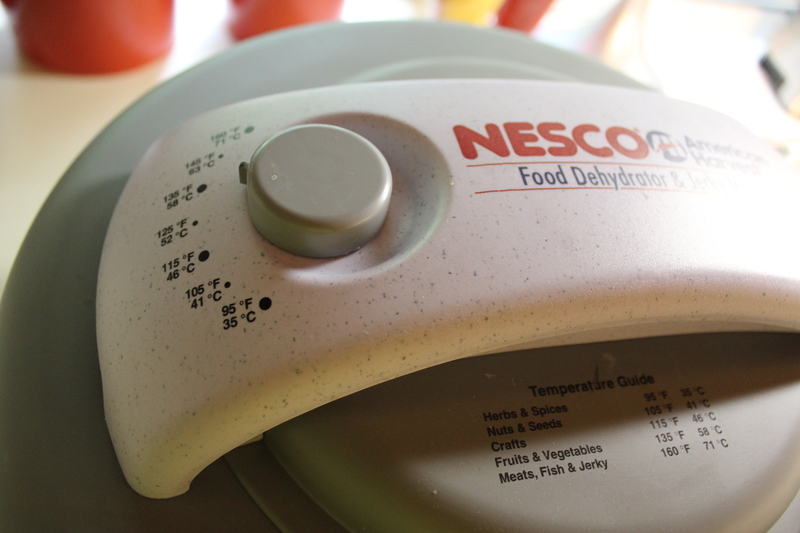 I researched dehydrators on the Internet and decided to buy the Nesco American Harvest four-tray dehydrator – it seemed the one that would best fit my needs. These range in price from $50 to $60, depending where you purchase them. This one works great and I’ve been quite happy with it so far. 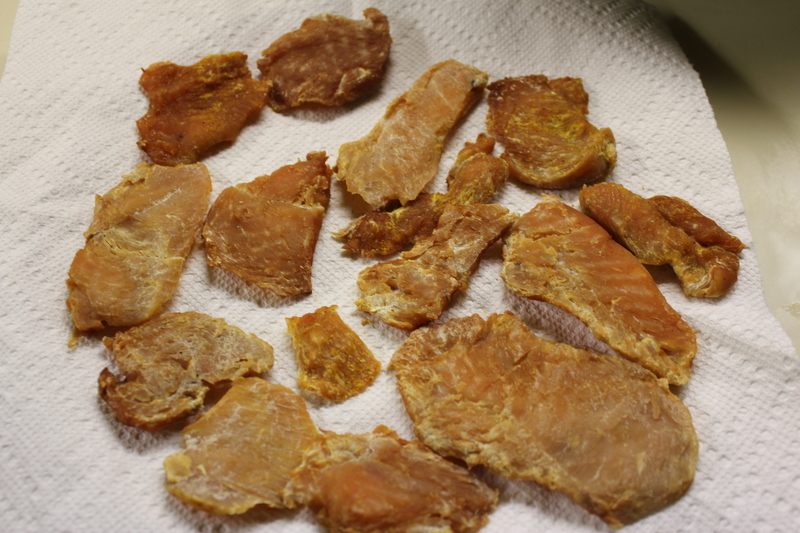 The first thing I made was chicken jerky for Lillie (See my previous post: This One’s For the Dogs.) She is a happy doggie when she gets this yummy treat! I have also made some beef jerky with teriyaki sauce, which is probably better suited for humans than dogs. Lillie ate it but I’m not sure she was thrilled with the taste of the teriyaki. Next time, it’s plain beef with a tad bit of salt for her. However, the kids liked snacking on this, but thought it could use some heat. Recipe adjustments are in order! 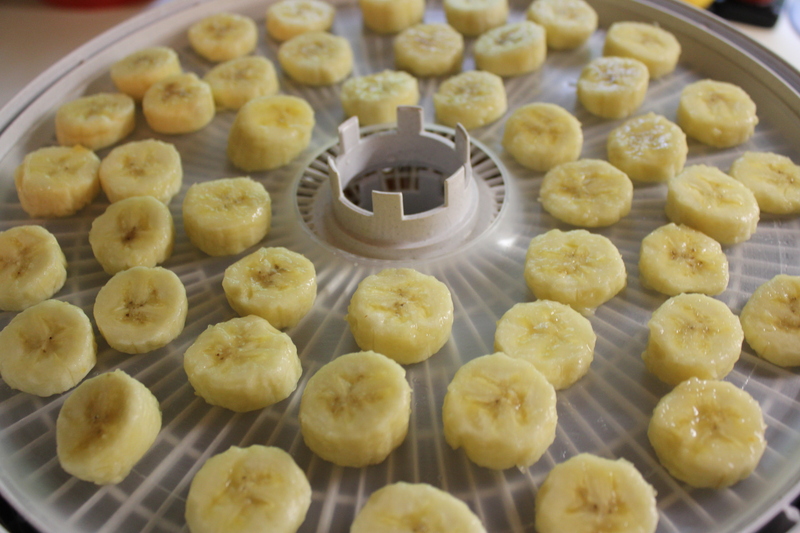 I tried to dehydrate some bananas and apricots. 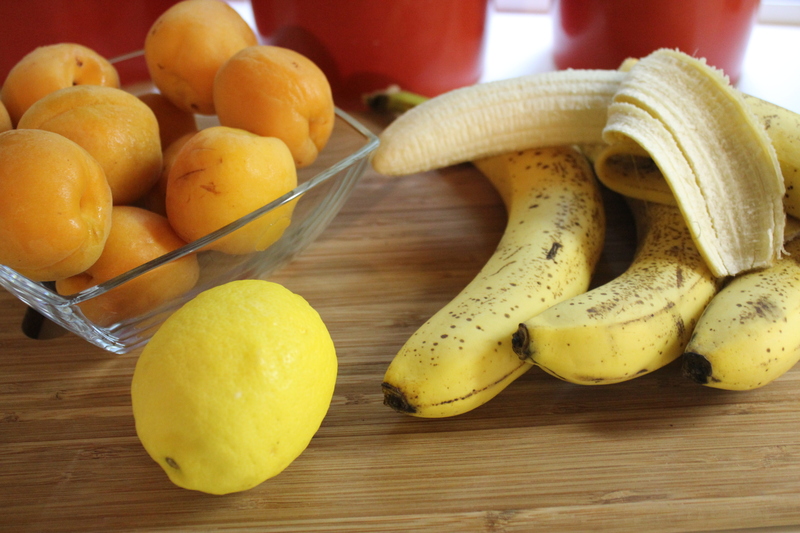 The bananas tasted okay but really didn’t look that good. The apricots were a total disaster, which is unfortunate because I love dried apricots. I did not follow the directions completely and forgot to turn the apricots inside-out, so I will try these again. I also did not use the recommended tray liners, which I have since purchased. They do make a difference! The fruit that I did have success with was fresh pineapple. 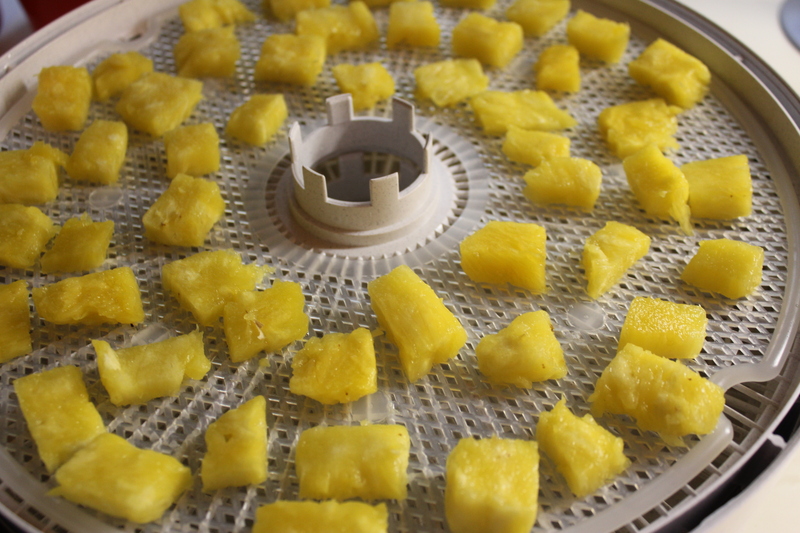 I waited until whole pineapples went on sale (which is what I recommend you do for anything you dehydrate) and made small bites that rival any candy I’ve had. I could eat these things all day! 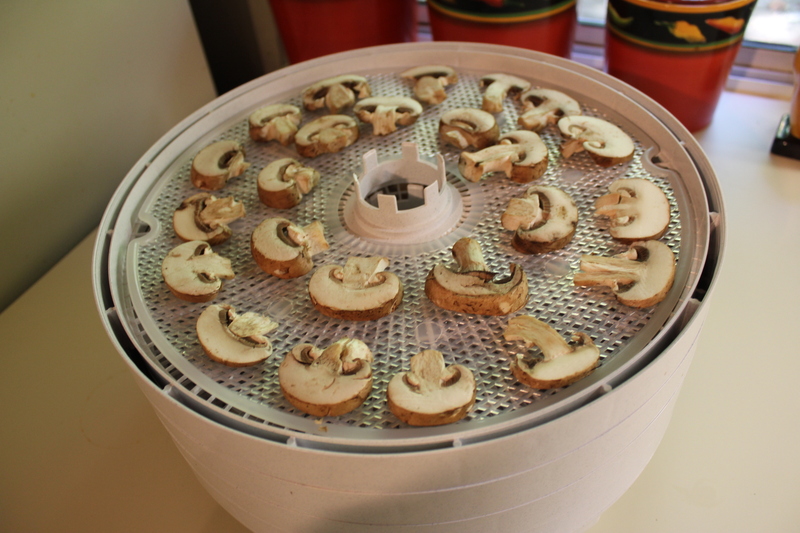 A few weeks ago I dehydrated mushrooms, which I bought on sale (of course). I was somewhat skeptical about drying mushrooms, but had read that their flavors intensify when they are dried, making them great to use in sauces, etc. These turned out great. I used baby bellas and creminis, but next time will dry some shiitakes or oyster mushrooms. 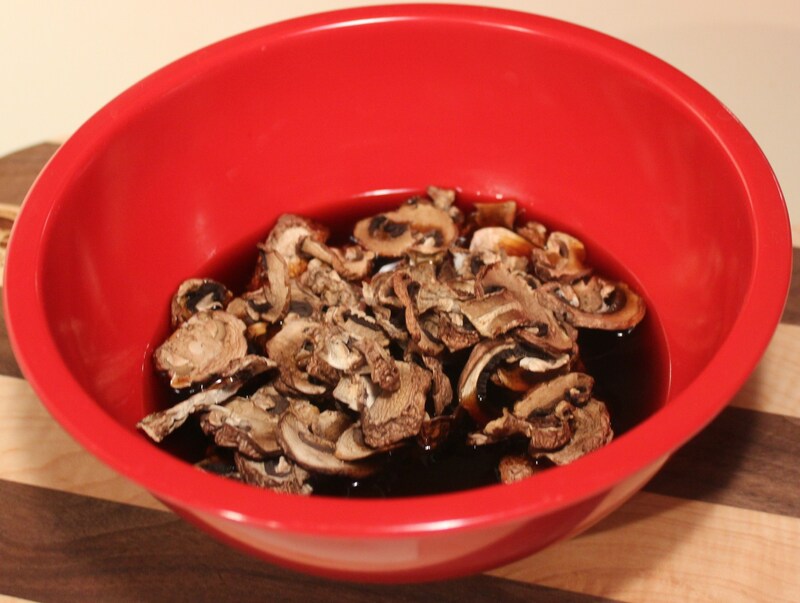 To use your dehydrated mushrooms, you need to rehydrate them. I was making some mushroom gravy for country style steak and mashed potatoes (I’ll post that recipe soon) so I placed the mushrooms in hot beef broth for approximately half an hour. 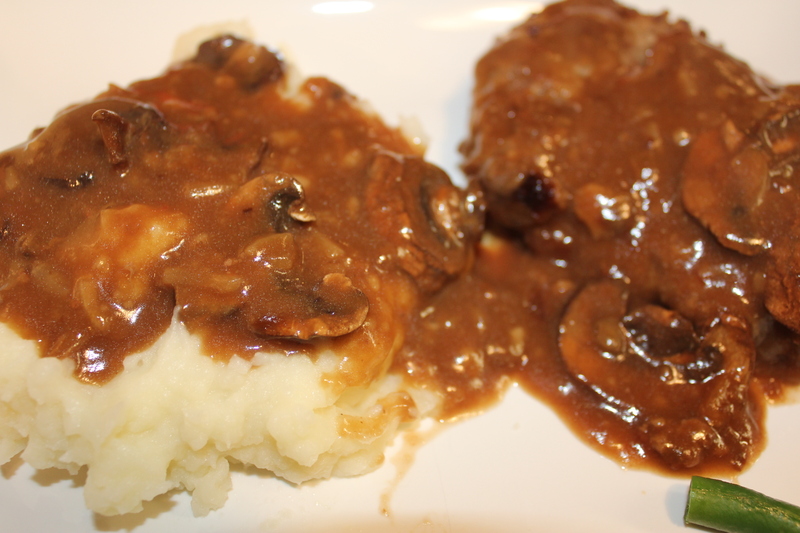 Wow – these gave the gravy a definite earthy flavor, and the gravy was stellar. 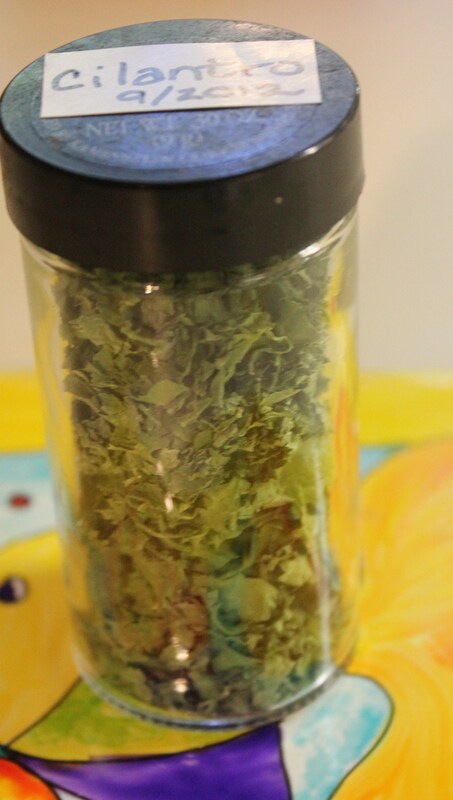 The only herb I’ve dehydrated so far has been cilantro. I bought an organic bunch of it at the Farmer’s Market at a great price. Cilantro is one of the few herbs that I have never used dry – I always buy fresh. However, there have been numerous times when I’ve needed cilantro for a recipe and had to make a run to the store to buy some, so I decided to take a chance and see how the dried version works. I have yet to try it, but it smells great and I hope it will be a good replacement in a pinch. I’ve already gotten my money’s worth out of my dehydrator. 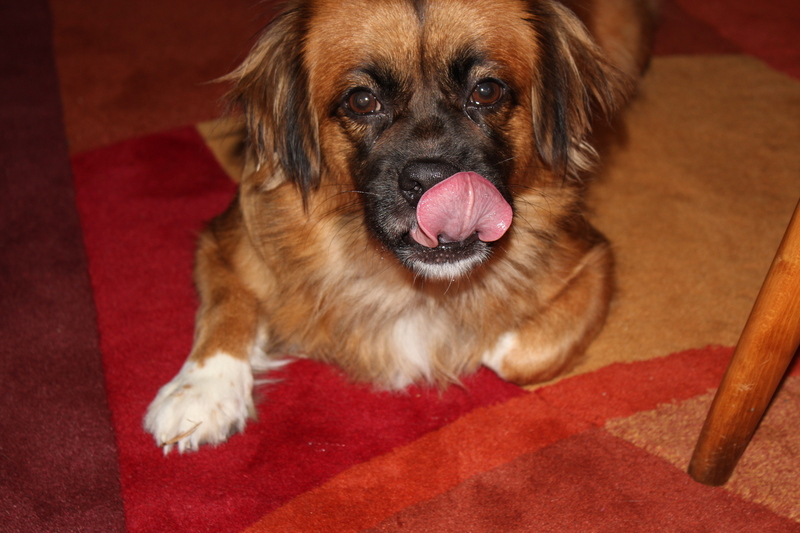 If you have pets, it is a must for ensuring that you know exactly what is in their treats. Plus, there are so many other things you can dry and store to enjoy later. This entry was posted in Tips, Tools of the Trade and tagged chicken jerky, dehydrated cilantro, dehydrated mushrooms, dehydrated pineapple, dehydrator, eat drink and be merry, kel's cafe of all things food, Kel's tip of the month, Kelley Chisholm blog. Bookmark the permalink.